While I wasn't concerned with weight loss during the 24 Day Challenge, it was great to see a decrease in body fat, especially since most people begin the challenge with this goal in mind. The results that impacted me most were increases in lean body mass, increases in strength (specifically a 44 lb increase in deadlift), and an incredible increase in energy. As an endurance enthusiast, I'm used to losing muscle mass and strength when I train hard. For me, weight loss has always been synonymous with energy loss. I was amazed and impressed with how much my strength improved and how healthy I felt during the 24 days. If you're curious about these products and results, I'd love to share my experience with you further. Mason is a Columbia native and graduate of the University of Missouri, where he completed his bachelor's in Nutrition and Fitness. After Mizzou, Mason pursued graduate studies in Kinesiology at A.T. Still University. His passion for fitness was born in the Hickman weight rooms and cultivated during long bike rides and runs on the MKT Nature and Fitness Trail. 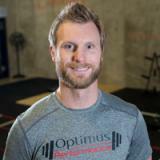 Mason's personal athletic background includes football, triathlons, marathons, and Olympic-style weightlifting. Currently, he is a coach and competitive weightlifter for the Mid-Missouri Weightlifting Club. For more than a decade, Mason has gathered experience in sports conditioning and coaching, corporate fitness, spinal rehab, cardiac and pulmonary rehab, and medical fitness.